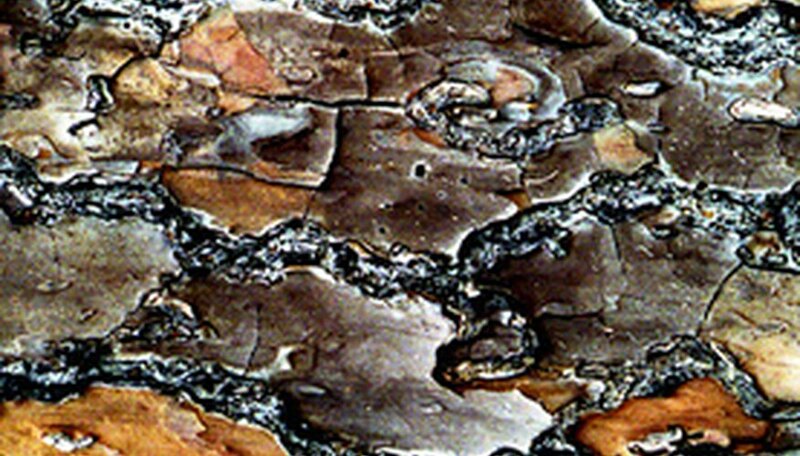 Bark and other dry or woody, carbon-rich materials are called "brown material" in composting terms. In general, compost consists of two types of organic material: green and brown. "Green" or nitrogen-rich material like plant and kitchen waste, manure and grass clippings help the microorganisms break down the compost into rich humus. Whenever you add “brown” bark to your compost pile, be sure to add an equal amount of green material to keep the nitrogen-carbon ratio consistent--this is the key to keeping your compost pile decomposing consistently. Use a shredder or other implement to cut the bark into the smallest pieces possible. The smaller the pieces in your compost pile, the more quickly they will decompose. Add to or start your compost pile with the bark pieces. Add green material (finely chopped or shredded) that is half the amount, by volume, of the bark. Add a handful of garden or (non-sterilized) potting soil to your compost pile to introduce a fresh supply of the microorganisms responsible for breaking down the compost in a pile. Use a shovel to turn the pile and mix the ingredients you have just added thoroughly. Stop adding to your compost pile once it reaches between 3 and 5 cubic feet: the optimal size for efficient composting. If necessary, start another pile while the first decomposes. Wait until you have enough bark and green material to add them in a 1 to 2 ratio before adding to your compost pile. The more varied the types of material in your compost pile, the more nutritious the resulting compost. Feel free to add other types of brown material to your compost pile as you build it. Turn your pile at least once weekly, even if you have no new material to add.